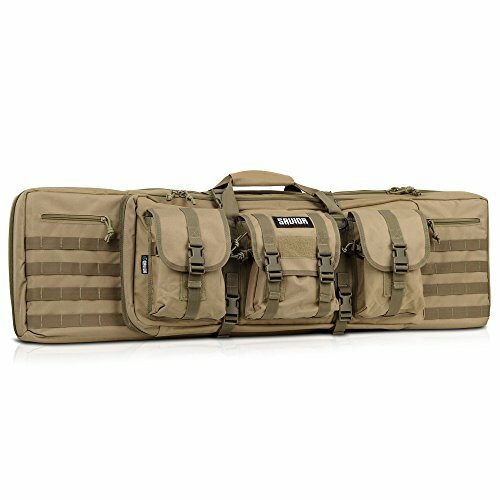 Rifle cases are a crucial part of any outdoorsman’s equipment. Used to keep your rifle and ammo safe, secure, and dry while out in the elements, a rifle case is a necessary addition to any hunting trip. 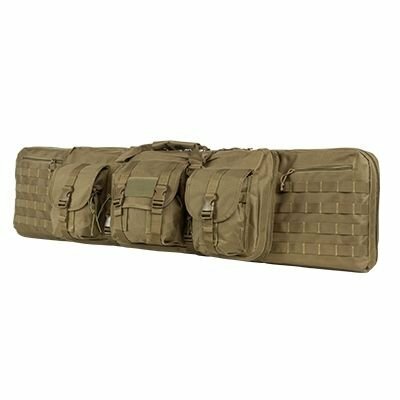 Rifle cases come in a wide range of makes and designs, from hard and soft cases to leather and polyester or other man-made materials and can be one size fits most or tailor-made to fit your rifle of choice. Just like different hunting situations call for different rifles, it’s important to pick the right rifle case to fit your unique hunting needs. Not only can having the right rifle case make transporting your equipment in and out of your hunting site that much easier, it can help protect your rifle from the elements and make sure you have everything you need close at hand when you need it most. In case you are in a hurry, our choice for the Best Rifle Case is the Plano AW Double Scoped Riflecase with Wheels. [SAVIOR WARRANTY] - Unquestioned Lifetime Warranty. Love It Or Return It. Here are some of the most common types of rifle cases and their uses. 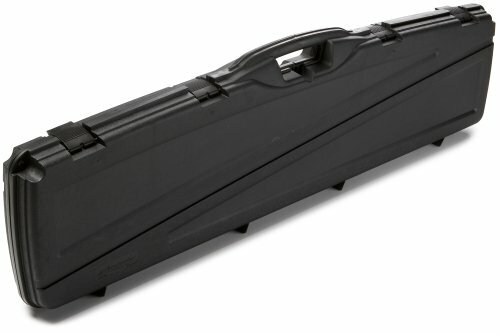 The first kind of rifle case is the soft case. A soft rifle case can be more square in design or made to fit closer to the barrel of the gun in a triangular design made to take up less space. The perks of these cases are that they are lightweight and easy to carry into your hunting site or tree stand without adding too much additional weight. On top of this, they can come with a wide range of pockets and compartments to make storing your bird calls, ammunition, and hunting knives that much easier. The downside of a soft case is that it is less likely to protect your rifle from jostling and more hostile weather conditions, such as pouring rain or snow. They are also slightly less durable than a hard case but come in a wider range of materials and general sizes than hard cases do and can feature over the shoulder or handle straps. 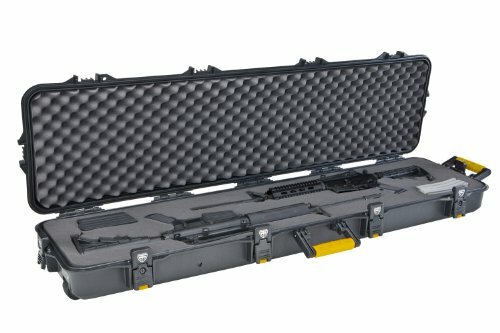 The second kind of rifle case is the hard case. These cases are similar to a lock box or plastic suitcase in design and are meant for long-term storage and transport. They can be made for longer rifles or short rifles and are often times made to store rifles that have been disassembled. These are great for storing your rifles at home or for transporting multiple rifles from one location to another. However, due to their bulkier nature, hard cases are not ideal for hiking into hunting locations as they can add unneeded weight to your pack and can be unwieldy. However, they do provide an additional level of protection against the elements and from general jostling as they usually feature a padded interior to protect your rifle from bumps and scrapes. Hard rifle cases are usually made from plastic or another manmade material in order to allow them to be the as resilient as possible. Whether looking for a long-term storage option or the perfect rifle case for your next hunting trip, making sure you invest in the right rifle case for your rifle can help prevent damages to your weapon of choice and can make your next foray into the outdoors go that much smoother.